D.E. Funk is a new author who recently released her first novel, Silent Rage. And full disclosure: she is my cousin! In this interview, she explains why she chose indie publishing over traditional, and why having a professional editor makes a difference. My book is called Silent Rage and is about the birth of a serial killer. It details the home life of a juvenile, Russell, who ends up discovering the power he has over others through violence. There is only one female in his life who shows any concern about him. Libby Teach is currently a middle school teacher (name makes sense as you read the book) who is at work on her graduate degree which will enable her to become a behavioral therapist who specializes in juveniles. The book is not a juvenile read. There are real crimes and serious issues tackled in the pages. I was motivated to write for a couple of reasons. First, I love to read and thought why not? I know what I like and don’t like and could surely write one as well. Second, I believe a lot of crimes could be prevented by early intervention such as behavioral or mental health courses taught to middle school aged kids. They face a lot of tough situations and don’t have the skills to address them. Maybe I can make a difference using writing as a platform. Marques Peterson believes that if you can’t find a story you really like in a bookstore, you should write it. Find out more about his marketing efforts and why he believes you have to invest in your own product for it to be a success. 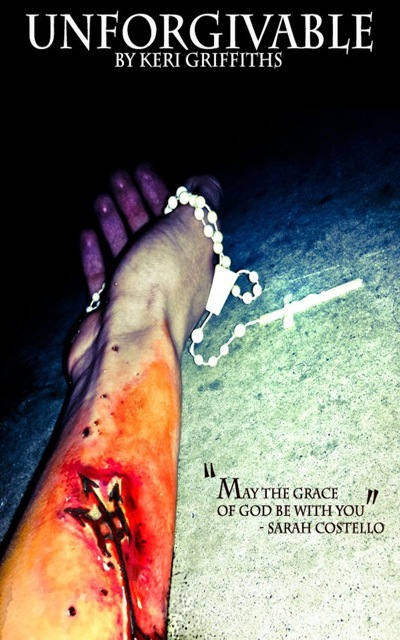 I think the best way to tell you about my story is to tell you how I came up with this idea. Toni Morrison once said, “If there’s a book you really want to read but it hasn’t been written yet, then you must write it.” So I began to outline and I created a character that must go through hell to accomplish his goals. So I started thinking, what if a cunning, bold, twenty-one year old sorcerer witnesses his mother’s death to save his skin? It would make him very angry because he was too weak to save her and it would also make him vindictive because now he wants to get his brother for what he has done to her. But, since his mother is gone now, he also has the burden to save the world because he must collect the ancient stones of immortality before his brother can. So the sorcerer begins his adventure to pursue each stone and make a few friends along the way, but trouble arises when they arrive at Westco village. 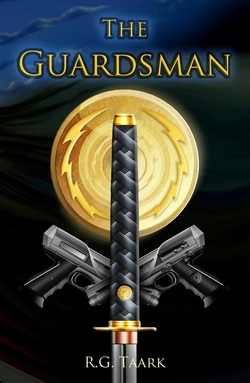 The captain of Westco, having arsenals of deadly arrows and an army of guards, tries to stop them at any cost. Then there are other beings like the ferocious vangal birds that try to eat them; the tyranny preventers, Ober and Nob, which will do whatever they can to stop them; and the cold-hearted aurettas whose powers seem unstoppable – will the sorcerer and his friends ever collect the stones? This is exactly what happens in my book, Cold Spirits: Greed Vs. Passion. I became an indie writer because I wanted to experience how it would be to publish my own book. 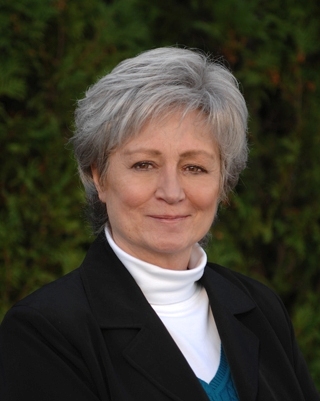 Lynette White avoided the vanity press route and opted for self-publishing instead. Find out which vendor she uses for marketing and the one thing she’d do differently if she could start over. Betrayal is tearing at the very fabric of the twin cities and they are on the verge of collapse. The frightened citizens are turning on the garrisons, the gods, and each other. Commander Shadoe Van Ives discovers how to save them if he can stay alive long enough to find someone he can trust. Shadoe must outmaneuver the enemies inside and outside the walls of the twin cities before time runs out for him and for them. I have wanted to publish my work for a long time but kept letting life get in the way. It took my dying mother to make me realize I am the only one who can make my dreams come true. Being an unknown, I was lured to a vanity press. Fortunately for me I was pointed in the direction of indie publishing before I made a critical mistake. Not yet. I am still working on finding the way in. I have the tools now to pursue that avenue and will begin the process soon. Keri Griffiths self-published her book Unforgivable because she liked the control she had over her writing. 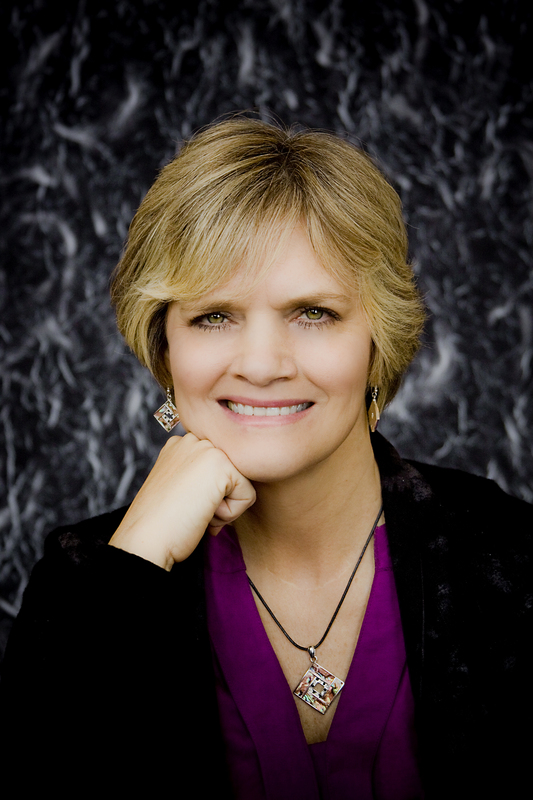 Learn more about how she reaches readers and the pros and cons of self-publishing. Short answer? I’m a control freak. Indie publishing gives writers complete control over the look of their books and a say in distribution. This book is my baby, I’ve worked hard to get it to the readers. So to have final say is a real treat. That said, being an indie writer means that all the work, all the publicity and all the stuff I know very little about is on me. I have to figure it out. It’s both thrilling and challenging. I’ve published several articles, mostly on travel, on various websites and news outlets, but never for my novel. I’ve tried that route and it’s very difficult to break into, especially with your first novel. Indie publishing helps establish a following and prove yourself as a viable writer. I haven’t totally turned my back on traditional publishing but I’m really enjoying this journey. David Carroll has found a way around the boundaries of traditional publishing, going it alone as a self-published indie author. 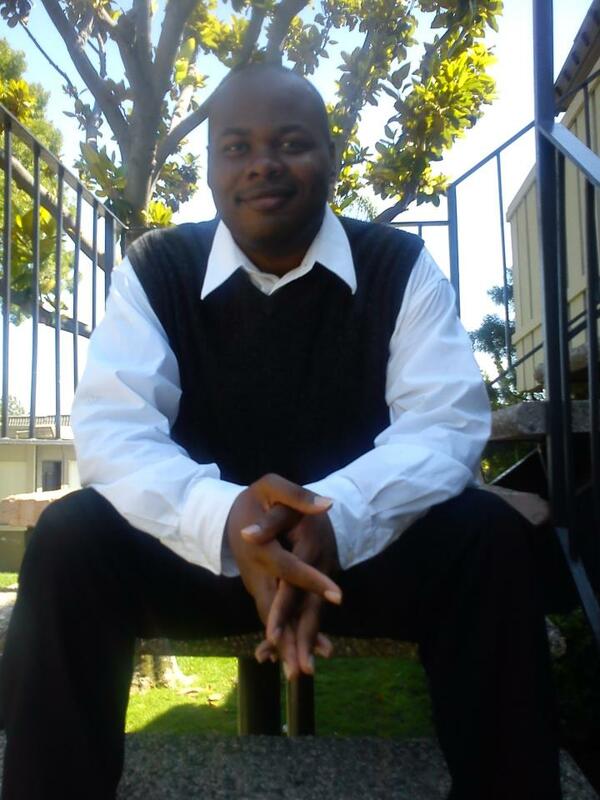 Learn more about his writing and which marketing methods have worked best for him. 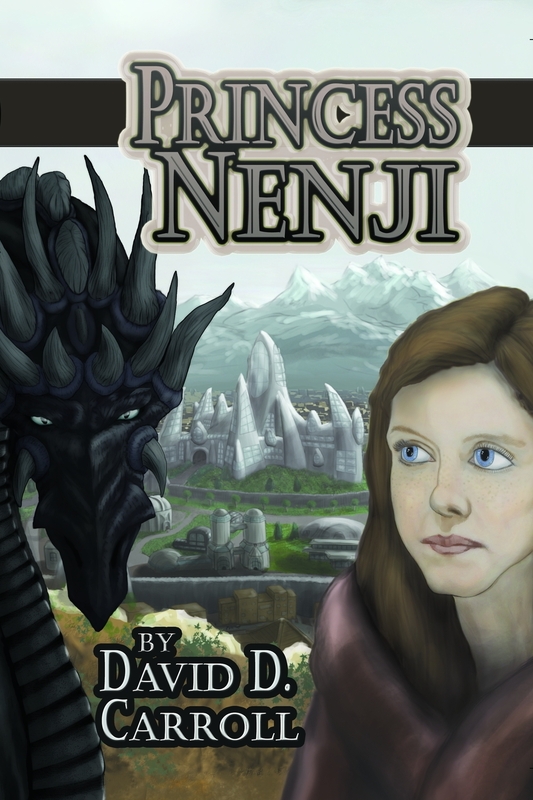 Princess Nenji is named as the next queen when a dragon hunts down the royal family. But before she can claim her throne, she must resolve the politics about her being a Mage’s apprentice, and embark on a quest to stop the Dragon King from finishing the job. She meets fascinating creatures, and learns a lot about herself along the way. The publishing industry has been in chaos since 2009. Very few new authors are given the royal treatment anymore. No one can be “just an author” until they sell enough books to pay someone to do everything else. While distribution methods have been accessible to everyone, and marketing is required of authors whether indie or traditional, it seemed like a good time to go it alone. I have not been traditionally published because the big publishers need me to prove myself first, and the small publishers might not survive long enough to get my books to print. Suzy Milhoan has managed to turn her grief into a learning experience, one she seeks to share with the world through her writing. Find out more about her proactive marketing approach and how social media enhanced her networking. The Healing Game shares Suzy’s journey of losing her beloved husband, Kevin, hitting rock bottom, and painfully finding her way back to her life. Suzy’s deeply personal writing reveals how she learned to grieve, work through her emotions, remember the good times, and once more embrace love. For those who have lost a loved one, The Healing Game not only offers comfort and support, but also shows you that God is ever-faithful and always by your side. This was my first book, and I thought I could get my book finished and published sooner by going this route. I didn’t have a platform yet to try to sell to a publisher or agent, so I went off on my own. No, I didn’t have the confidence to seek out traditional publishing because I was just starting a new career (writing) with a brand new book, and a non-fiction at that. Marquita Herald has been writing in a variety of formats for years, and has enjoyed the self-publishing process. Find out why she likes the free promotions on Amazon’s KDP Select, and which vendors she chooses for her marketing. Have you ever noticed that two people can be faced with the same crisis and while one becomes hopelessly mired in a web of negativity and feelings of helplessness, the other is able to overcome adversity and bounce back stronger than ever? The hard truth is that from time to time we are all going to stumble; encounter unexpected detours, and fail. No matter how much we try to outrun or sidestep adversity, it is going to happen. So the real question then becomes not how to avoid obstacles, but how to use them to our advantage. By choosing to look at all experiences as opportunities for growth and greater long-term resilience, we are able to approach life on a whole new level and embrace our experiences with much more enthusiasm. Adversity can present us with the opportunity to realign ourselves with what is really important in our lives and in the process strengthen confidence in ourselves and our abilities. The good news is that research has proven that resilience is not a genetic gift for the lucky few. It is a set of skills that can be practiced and mastered over time and Stepping Stones to Greater Resilience is a self-directed learning guide that shows the way. I’d have to say I was technically an “indie writer” long before the term was coined. I live on a small island so it’s natural to end up a sort of jack of all trades. In every job and volunteer position I’ve ever held I’ve ended up as the official scribe and written everything from materials for fundraising to scripts for travel industry promotional films and public relations kits, to marketing materials for the local arts and cultural center. I even co-authored a native Hawaiian cookbook for a local nonprofit. So I was already comfortable with the role of an independent writer when I began blogging a couple of years ago and over time that naturally evolved into my first book. To be honest I never considered approaching a traditional publisher. What I find most appealing about self-publishing, particularly in a digital format, is having the ability to try new things and control the process, which suits my independent and creative nature. Overall I love it. Of course with anything in life there are pros and cons and this is no different. I had no clue what I was doing when I started, so I faced a huge learning curve. Fortunately I’m not shy about asking questions or trying new things and I have learned to define my occasional stumbles as ‘growth’ opportunities. While I don’t view it as a long-term strategy, I am a big fan of Amazon’s KDP program as an opportunity for new authors to get their work into the hands of large numbers of readers. I know there are a lot of people who view the ‘free’ promotions as a negative, but my experience has been that my sales spike sharply right after a free day, so for me it’s worked well. My blog has been a very important tool as well. I’d already been blogging for a couple of years and had a good size following before I published my first book, so there’s been a lot of support there. Otherwise I’ve found author communities to be incredibly supportive. Most authors are very generous with advice and cross promoting on social media platforms like Twitter and Facebook. Living on a small island tends to automatically eliminate a few of the traditional promotional activities. For example there is only one bookstore here, it’s on the other end of the island and I’ve never known them to host author readings or book signings. I have listed my books in quite a few directories, as well as sites such as Goodreads, but don’t invest a lot of time attempting to pursue readers on these sites. It’s not that I don’t see the value of every single reader, it’s that you have to draw the line somewhere or you’ll end up spending more time promoting than writing. I don’t do a lot of direct mail because of the expense, but I do think it’s important to have a quality business card and media kit. For business cards and postcards, actually any business materials, I go with Vista Print. Their prices and service are excellent, but what I also like is how user friendly their platform is when it comes to customizing your materials. As a hands-on artist that is very import to me. Another vendor I love and have used for years is Zazzle to create promotional materials like logo pins and t-shirts and you can customize pretty much every item they carry. Again the service and pricing are terrific, but the best thing is that unlike most promotional outlets they do not require bulk purchases. So let’s say you have a special event coming up and you want to create a logo pin or t-shirt promoting your book just for you to wear, you can do that! It was quite an eye opener to learn how many professionals continue to only review books that have been published traditionally. As if that weren’t challenge enough, I’ve also learned just how tough it can be to get professional reviews for nonfiction books. I had no idea there were so many reviewers who will only review fiction. I now have a far better understanding of the value of creating a ‘launch event.’ I’ll be publishing my third book in a couple of weeks and I’m doing a lot more advance work like building an ‘interest’ list, working with affiliates and offering special bonuses for the launch. I’ll keep trying new things and evolving the process with each new publication. Take a deep breath and plan for the long haul. Don’t believe the people who tell you you’ll never make a dime, or the people who try to sell you a formula to make an ‘easy’ bundle. Don’t be afraid of making mistakes, just don’t repeat them. And, most important of all, write more than you promote. It’s very easy to get caught up in the promotion of your current book and let days and weeks go by without writing a word. Whatever you do, keep writing. The name of my new book is It’s Your Time Now – A Guide to Living Your Life by Design. Most people are familiar with the term ‘life design’ but few people really understand what that really means, or where to begin to live life intentionally when you’re already up to your eyeballs in life and responsibilities. This book is a guide to bring into focus the steps to begin the journey to mastering your life by design. Life doesn’t get easier – we get better. 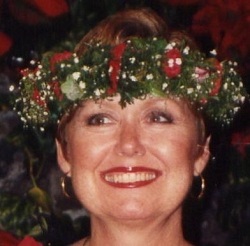 Either at my blog, IGG – Tips, Tools & Tantalizing Ideas, or my new Facebook page, Living Your Life by Design. Both sites include links to download a free chapter and to the product pages at Amazon. Who doesn’t love a good conspiracy? Indie author Simon Trinculo offers up a fresh batch of alternate explanations for the events of our day, and explains his approach to marketing and the writing process. 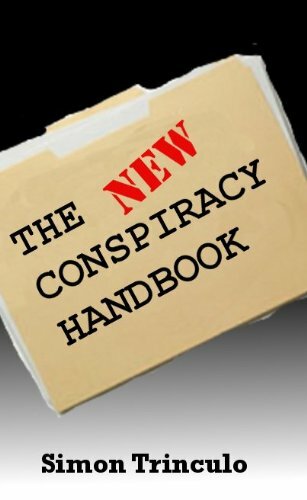 The idea behind The New Conspiracy Handbook was to give fans of conspiracy theory some new ideas to wrap their minds around. You can only read so much about JFK or 9/11 or Area 51 so I felt like the market might be there for something fresh. And unlike many conspiracy books, I do not rely on any kind of “new” secret facts that only I am privy to. Every fact in my book is easily verifiable and most are common knowledge. What I did was take what we already know and create a new narrative to tie those facts together. TNCH offers 25 new theories in compact, easily digestible chapters. I tried to appeal to a broad audience by hitting a diverse array of topics, from politics to sports to the music world and more. Thinking about and discussing conspiracy theories has long been a hobby of mine. Writing them down in book format seemed like the next natural step. Being independent helps with this type of writing because you don’t have to answer to another person who might want to suppress your ideas. No. This is my first book. I may consider submitting to a publisher in the future. Florence Osmund self-published her first book, The Coach House, earlier this year. In that time she has picked up a lot of great marketing tips, and she shares them here. 1945 Chicago. Newlyweds Marie and Richard Marchetti have the perfect life together. Or at least it seems until Marie discovers he secretly attends a mobster’s funeral. And when she inadvertently interrupts a meeting between Richard and his so-called business associates, he causes her to fall down the basement steps, compelling her to run for her life. Ending up in Atchison, Kansas, Marie quickly starts a new life for herself in a coach house apartment. Ironically, it is the discovery of the identity of her real father and his ethnicity that changes her life more than Richard ever could. 2. Tell me about the marketing techniques you’ve used to sell your books. Which ones have been the most successful? One thing is for sure: books don’t market themselves, so we indie authors have to be diligent and creative in our marketing efforts. Two ‘musts’ I believe are creating a website and maintaining a blog. People just expect it, and if you want to get the word out about yourself and your books, you have to have these. Some other methods I’ve used are the creation of Amazon and Facebook author pages, adding links to my website and blog in my e-mail signature block, participating in online discussion groups, seeking out book reviews, subscribing to book promotion sites, sending out a good press release, including testimonials in my website and blog, participating in online interviews such as this one, contacting book club members, and networking with family and friends. If all my Facebook friends were to re-post my book announcement, I would reach close to 10,000 more people. That’s a lot of potential book sales!